Well my build will start in a week here and I'm now looking at seats and a roll bar. The stock seats I really don't like that much. Not enough support for track use and really not overly comfortable. With oem sport seats going in the 3k+ range I just can't afford to spend that on seats. I've been looking around and really like the corbeau rrb as they look similar to 997 gt2 seats (not even close to the same quailty I know). What do you guys have and like? I'd like a reclining seat over a fixed back. Budget is less than 2k. 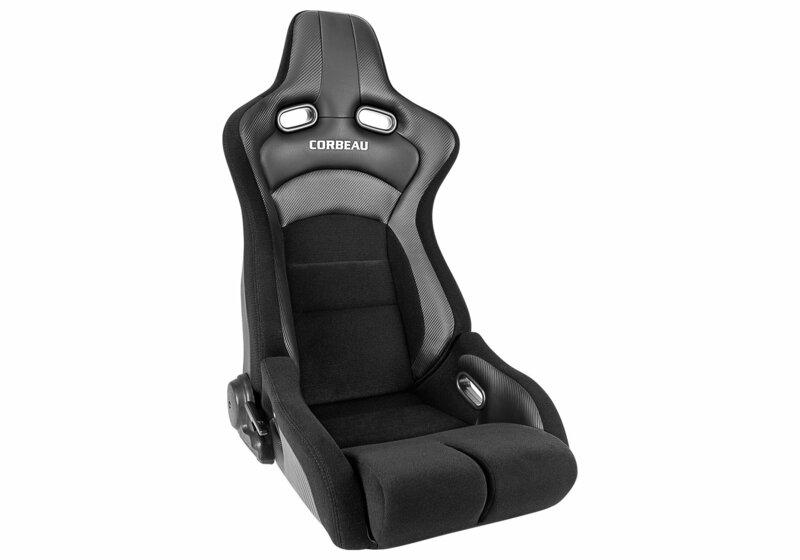 Corbeau isn't bad, but I'd go for Recaro, Sparco, OMP, Racetech, etc.. I use the Recaro Profi for the driver's seat, and the Recaro Speed (which recline, for access to items I bring to the track) for the passenger. The Recaro Pole Positions seemed a little flimsy to me when I was test fitting. I may be selling the Profi in the near future if you are interested. 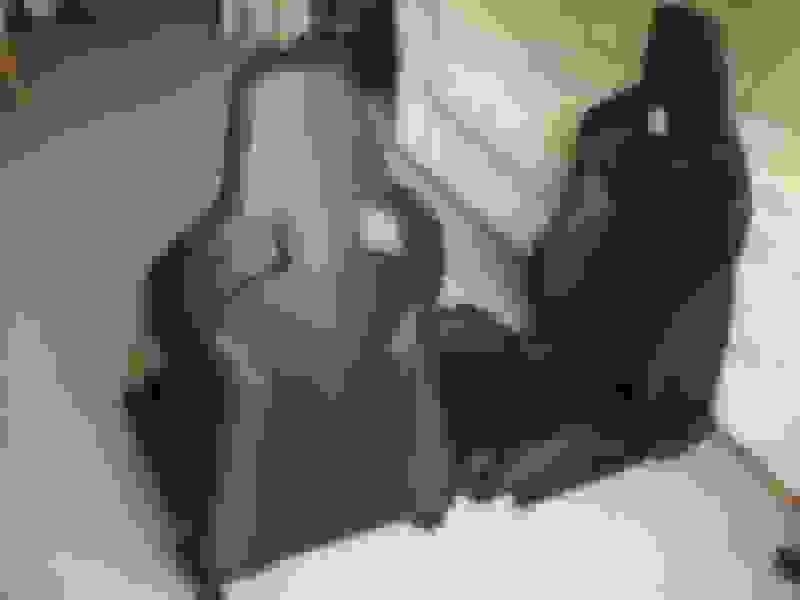 Last edited by 996TWINS; 01-01-2016 at 10:35 PM. You can go wrong with Recaro, they sold thousands of pairs of the pole position seats before their FIA approval was revoked due to cracking mounting points in testing. In fact the Pole position is the seat most like the OEM Porsche GT2/3 seats they made. Lots of people were left with seats that were no good. I wouldn't go with reclining seats for the track to be honest. Corbeau is fine, I've used them and many many Corvette guys run them. For DE, you will be fine, but again, I wouldn't go with reclining seats of any sort to be honest (unless they were OEM Porsche because those are certain to be heavily crashed tested). recaro sport topline leather/ w alcantara inserts. other than euro gt3? or the 2rs? ( are they same?!? ) what could be "better" for a dual purpose setup car. that'd be my 5 large since i cant find any oem arctic sports which'd suit me just fine. missed that boat too many times I'm afraid. Last edited by '02996ttx50; 01-02-2016 at 04:28 AM. I looked at recaro too and really the sportster is the only seat I like in their aftermarket line but like you said, 3k. I really like the a lot of the omp seats but they are all fixed back. The car will go on some long drives and having reclining seats both for comfort (and the girlfriend can take a nap) and for the ability to get bag in and out of the back seat is a must. If I was using it primary for track I'd put in a fixed bucket no questions asked. iirc the top line have a recline feature while the ( admittedly racier looking ) sportsters are ( iirc?? ) fixed back. wait, they both recline back doh. any of those though, i'd be happy with. Last edited by '02996ttx50; 01-02-2016 at 08:50 AM. Just picked up a set of Euro GT3's a few months back. They are fantastic fixed back seats. I mold into them perfectly @ 5'11" and ~185lb. I haven't had a chance to sit in the others, but I imagine they are close in fitment and comfort. On the other hand, the Euro GT3's, unlike the FIA counterparts, have what seems to be a 'lifetime' race seat capability (minus damage of course). When you pick up the aftermarket stuff, the seats have manufacturer dates that would require reinspection and possible replacement. This is also highlighted above in the post about the Recaro Pole positions not being fully tested before being sold to the public. The Euro GT3 seat is the best bang for the buck, imo. It offers the ability to stay in the car and be used as a track safety equipment for the life of it minus damage. Good value. Last edited by split71; 01-02-2016 at 12:44 PM. You found 996 GT3 seats? And consider them to be a good value? Either you picked up a steal of a deal or they are not Recaro manufactured. Just out of curiosity: would there be a general interest in Euro manufactured seats that look and feel very close (very, very close) to the OEM 997 GT2 RS folding buckets? Carbon with black leather/alcantara/nomex. yeah! i bet there would. but they're gonna be five grand new! or close.. no?? i've all but given up on finding any decent euro or replica seats w alcantara or even leather inserts at a price point that makes any sense relative to the *current* value of MY car. though it kills me every time i get in to have oems. it seems the guys that got lucky seem to be the one's that got the cars when the more performance oriented seats ( even oem sports ) were installed while the cars were worth the +100K they used to cost. or they found them more recently. they dont come up often and gt3 euro's are *usually* $4k!+ if/when they can be found. + 1 on the Recaros. There's a broader market for them too should ever decide to sell. I love the Pole Positions, but they are not for everybody. If someone made something close to a 997 gt2 seat for less than 3k it would be awesome but no one does. I can get those corbeau in leather and that may be what I go it. Might see if I can have them do leather with microfiber centers. Still fairly nice but doesn't break the bank. Just not a huge section in the 1500-2k range. Seems like most stuff is cheap or super expensive. Hard to find a little ground.